Listen up little sister! Now is the time to learn how to harness your power and use it. You’ve heard about heroes and read about the greats, but how do you actually get there yourself? This book will show you how to make your big dreams a big reality. 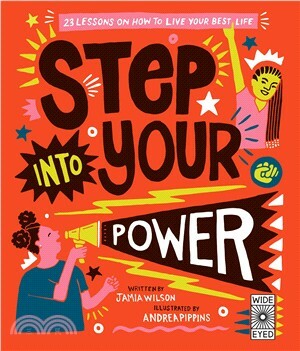 Learn from the lived experience of author Jamia Wilson and illlustrator Andrea Pippins, as they mentor you through growing up in the modern world, and teach you how to STEP INTO YOUR POWER.